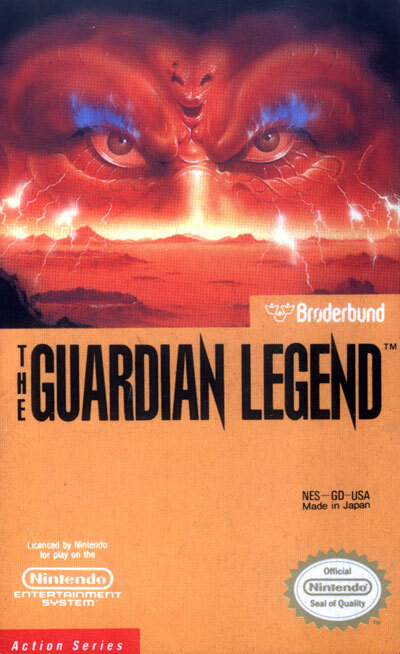 In The Guardian Legend, the player takes control of the guardian of Earth, a "highly sophisticated aerobot transformer". It is the guardian's mission to infiltrate Naju, a spaceship the size of a planet which is hurtling towards the Earth. While inside, the guardian must activate ten self-destruct switches to destroy Naju before it reaches Earth. However, Naju is infested with alien lifeforms which the guardian must battle in order to successfully activate the switches and escape.